• Katerina Bozhinova reports that farmland in the U.S. is rapidly shrinking – putting the food supply and rural economies at risk. • How can philanthropy help to support a sustainable farm ecosystem in the United States? What regions need the most support? • Learn more about the impacts of urban sprawl on farmland. 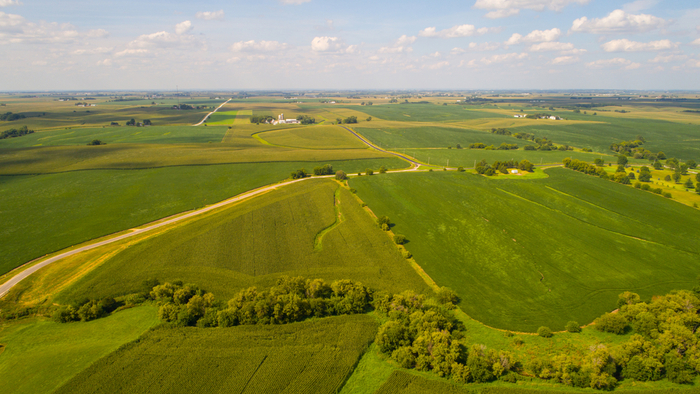 Farmland in the United States decreased by 31 million acres, a territory equivalent to the state of New York, over a 20 year period, according to the American Farmland Trust (AFT). Their new report assessed the loss of U.S. farmland and ranchland from 1992 to 2012. “Farms Under Threat: The State of America’s Farmland” is the most comprehensive assessment to date of farmland in the U.S. and reveals that the actual loss of farmland amounts to twice the previously documented land. In less than a generation, the United States lost 11 million acres of its best farmland to the expanding U.S. cities and towns. Urban sprawl has absorbed agricultural land for commercial, residential, and industrial development. While urban development converted mostly cropland, low-density residential development took an equal toll on cropland and pastures. Since 1997, large-lot properties have increased in number and are often too small to incorporate traditional farming, ranching, or forestry. They do not contribute to rural economies and lead to a loss of open space and a decreasing wildlife habitat. Read the full article on U.S. farmlands by Katerina Bozhinova at Food Tank. Learning and benchmarking are key steps towards becoming an impact giver. If you are interested in giving with impact on Conservation take a look at these selections from Giving Compass. More than $3 billion in committed capital that has already been raised for investments in food and agriculture, habitat protection, clean water initiatives and other conservation projects was sitting on the sideline waiting for attractive deals last year. That presents an enticing opportunity for developers who can package conservation projects that deliver both environmental and financial returns. The Nature Conservancy, World Wildlife Fund, Conservation International and other major conservation organizations are stepping up to stock that deal pipeline. "Conservation organizations like World Wildlife Fund are uniquely positioned to engage local communities, corporations and governments in conservation projects," Paul Chatterton, founder of the WWF’s Landscape Finance Lab, said in a recent report published with Clarmondial, a Swiss investment advisor. Now, he said, such projects must "include investors and harness capital markets to drive conservation goals." The trick is to package a bundle of revenue-generating activities into a project that also delivers significant environmental benefits. Sustainably produced fish, produce or timber are relatively easy to monetize. The business models for other conservation outcomes are more complicated, including "payments for ecosystem services" such as biodiversity, ecosystem resilience, carbon reduction and watershed improvements. Read the full article about large-scale conservation investments by David Bank at ImpactAlpha. If you are looking for opportunities to take action and give money to Conservation, here are some Giving Funds, Charitable Organizations and Projects aggregated by Giving Compass where you can take immediate action.